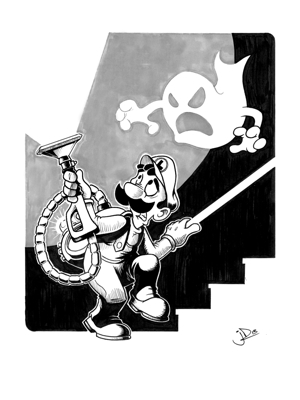 This week on The Gamers’ Inn Ryan shows off his Luigi’s Mansion commission that Joel Duggan drew for him and Jocelyn describes her first jump into League of Legends. Ryan also educates us on the beginning of the Year of Donkey Kong with Mario and Donkey Kong: Minis March Again and Donkey Kong Country Returns 3D. Finally, Ryan gives a quick nod to The Swapper on PC, which is part Dead Space, part 2D Metroid, and part Portal. Our topic this week revolves around an interview with Susan O’Connor (writer of Bioshock and Tomb Raider) where she has become fed up with the limitations of telling stories in video games. The Xbox is all about games too guys! What’s Inside the Cube Revealed!